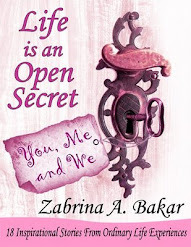 With the mixture of tears of sadness and smiles of joy, Secret 25 is the last Ramadan Secret from my book, Life is an Open Secret - Ramadan Special. As this blessed month of Ramadan comes to an end, I hope you have enjoyed reading and sharing the stories, and most of all benefitted from them even in the smallest way. Let us strive to be steadfast in earning Allah's Pleasure and Love throughout the year, inshaAllah. Me, my family and my book team would like to wish everyone Selamat Hari Raya 'Aidil Fitri and 'Eid Mubarak! 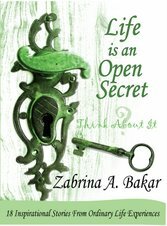 Below is the link to Secret #25!